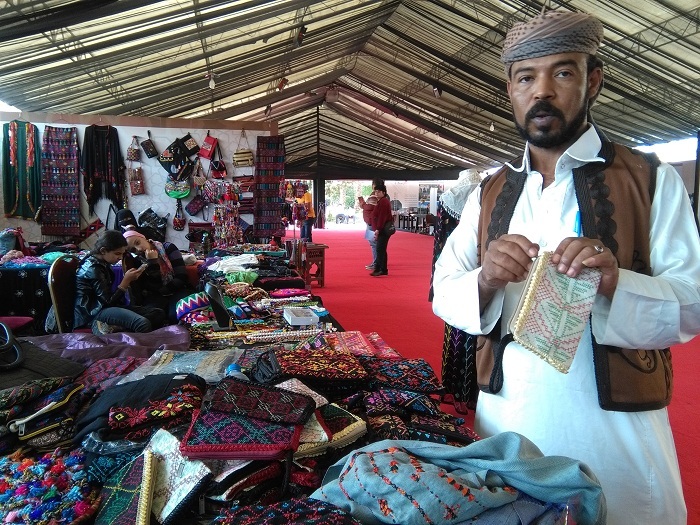 Last week, Coptic Cairo's Souq El-Fustat hosted an exhibition of traditional crafts from China and Egypt, in a four day event organised by Egypt's Cultural Development Fund in partnership with the Chinese Embassy, to raise awareness of the beauty of each country's craft traditions. 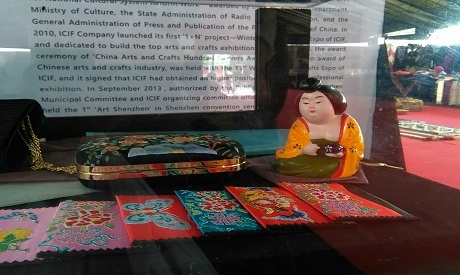 The exhibition was part of a series of cultural dialogues taking place this year with a focus on China—which Cairo named this year's country of honor. At the event craft traditions from Sinai, Siwa and Al-Arish met with some of China's oldest crafts. The main feature was something that can be seen as the heart of Chinese craft — its printing technique. 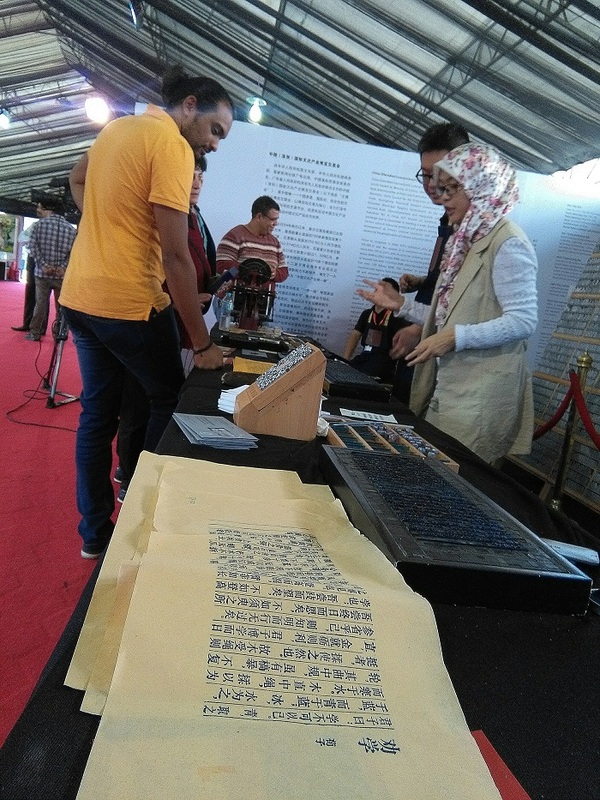 A pallet of over a thousand characters containing the Chinese alphabet was on display. Friendly faces demonstrated the Chinese technique of printing and sent visitors home with their names in Chinese script, together with a short story, printed on traditional rice paper. "What's unique about this exhibition is that the none of Chinese crafts were being offered for sale; the focus was on showcasing the [country's] oldest heritage, which is a new approach for mainstream Egyptians," who are used to seeing "made in China" on the back of many consumer goods, explained Iman Abdel-Mohsen, head of the technical office at the Cultural Development Fund and the event's organiser. 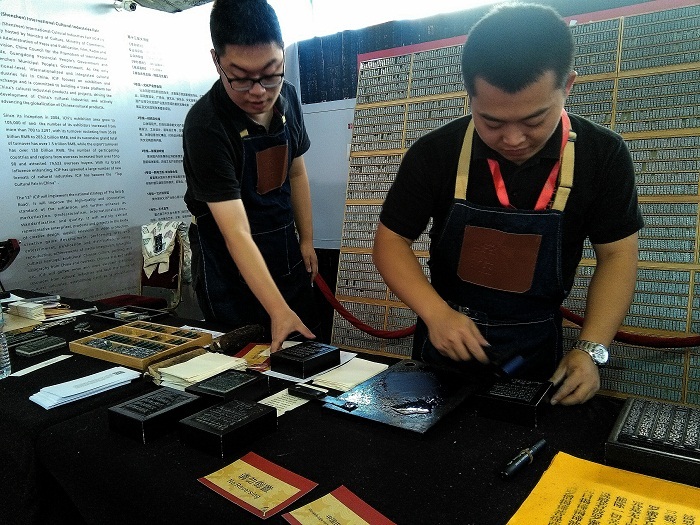 "This is the oldest printing technique that we used in old China," explained Iven Xue as he pointed to dice shaped wooden pallets with Chinese characters engraved on them. China is known to be one of the earliest civilisations to invent printing, as early as the 8th century. Historically, two main printing techniques emerged in Asia: woodblock printing, where ink is applied to letters carved upon wooden boards and pressed on paper; and movable-type boards made of metal or ceramic characters that can be switched out to form a text. Opposite the Chinese section, tens of colourful handmade embroidered items greeted the eyes. Patterns and vivid colors standing as little monuments of a long and rich history tested against time. “I am Zeina, the daughter of Mahbouba, the woman most famous in Sinai for her embroidery,” one artisan proudly told Ahram Online. 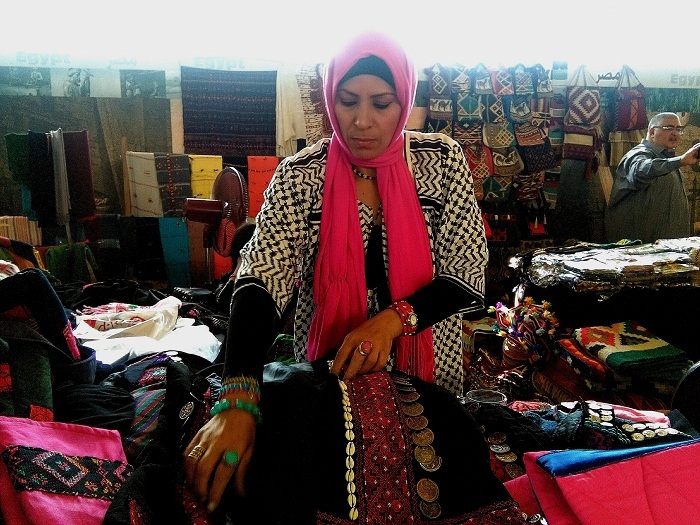 Being the daughter of an indigenous artist opened a world of possibilities to Zeina, who had managed to take handmade motifs and add them to modern bags, garments and ornaments, all authentic with a modern twist. “These seashells we use in our embroidery are collected on the shores of Sinai,” Zeina explained, adding that each item she makes showcases talents other than her own. Next to her stand was one filled with colourful shawls from Siwa Oasis: orange motifs against a unique blue background. The shawls were a bit bigger in size than the usual, to be worn as street attire on top of other clothes, explained Awam Moussa, who has been in the trade for 17 years. Showing his handmade bags, he explained that each bag takes him three days to make. 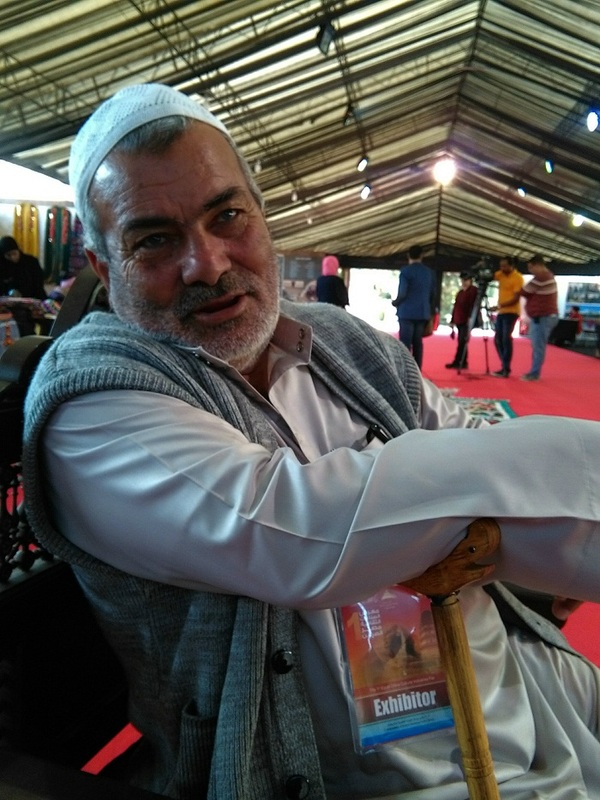 Haj Barawi Mohamed has been trading in handmade ornaments for the past 30 years. He explained that the embroidery trade is still a valid means of earning an income, especially among women as a deeply rooted cultural activity inside their homes. Starting in their early teens, girls would start to embroider thir marriage gowns. Little has changed over time.